Merry Christmas and happy learning with the CogniToys Dino, the IBM Watson-powered smart toy that gets better over time. CogniToys are smart devices in toy form, tailored just for kids, to provide an educational and entertaining experience without the need for a screen. 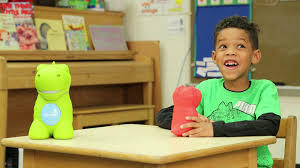 While other smart toys rely on pre-programmed responses, the IBM Watson-powered Dinosaurs listen to kids’ questions and provide answers adapted a child’s age. Plus, they answer questions using a voice created by Acapela Group. Studies have shown that play is essential to learning, especially at a young age. It teaches problem solving, critical thinking, and leadership skills while engaging the imagination. Recommended for kids aged 3 to 9, Dinos are more than a toy. They are talking, learning companions with the ability to grow and change – just like kids do. ‘When developing CogniToys, we wanted to create a toy that could not only entertain, but encourage learning too, providing a new, innovative experience for children. The Dino can interact, understand and keep up with a lot of questions. We needed the right voice to promote understanding during conversation. 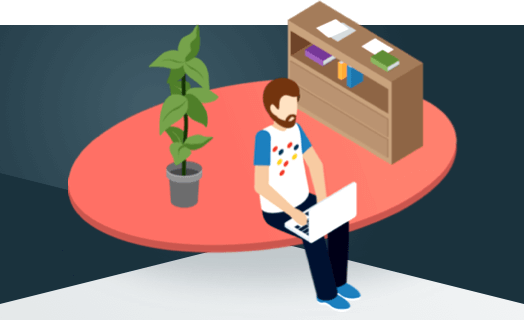 We tested the ‘Will’ voice from Acapela at a very early stage, and found customers loved the cheerful, grumbly persona it gave the Dino’ says Pearl Steinberg, Brand & Content Strategist from Elemental Path. ‘The Dino looks great and is smart and simple to use. It makes the most of advanced options such as cognitive technology and voice solutions, bringing them together in a single button interface. The kids only need to press the button and talk to their Dino to create a cool learning experience. 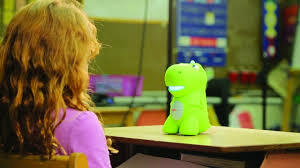 The Dino takes smart toys a step forward and we are very happy to be Dino’s voice. We look forward to Dino interacting in other languages!’ says Lars-Erik Larsson, CEO of Acapela Group. On average, kids ask 300 questions a day and CogniToys can keep up. The Dino responds to thousands of questions with age-appropriate answers. If a child asks a question Dino doesn’t know, the CogniToys team writes a kid-friendly answer to be added to a future content update. Plus, CogniToys come packed with tons of activities including stories, games, meditations, jokes and more to keep kids entertained for hours on end. By remembering a child’s name and favorite things (colors, animals, sports, etc. ), CogniToys customize learning and future conversation, providing a unique personalized play experience. Just in time for the holidays: Cognitoys speaks English and is available on the website, Amazon, in-store at ToysRus and Barnes & Noble for $99.99. For more information see the website!